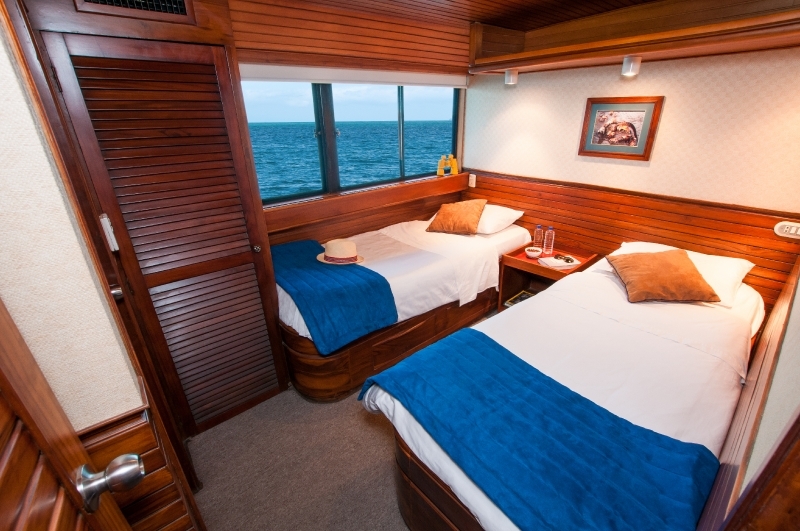 These 2 identical first class motor yachts are perfectly-tailored for Galapagos travel in maximum comfort. 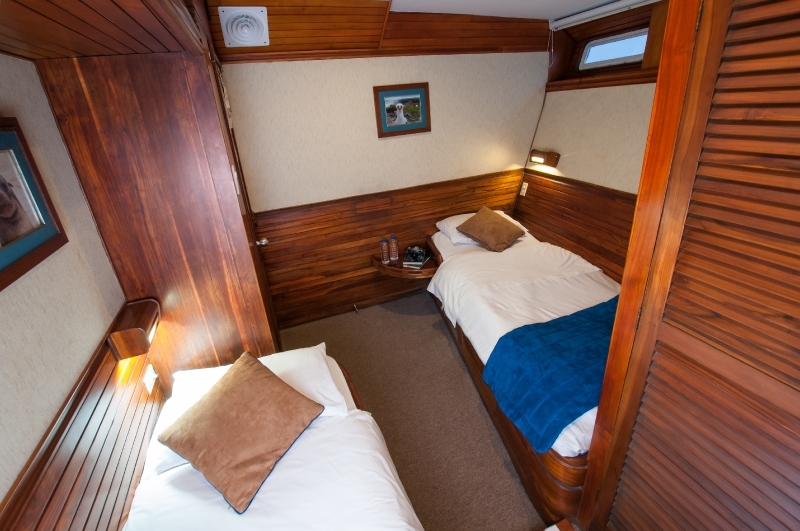 The boats accommodate 20 passengers in 10 double outside cabins with teak interiors, private bathroom with hot water shower and double or 2 twin lower beds. 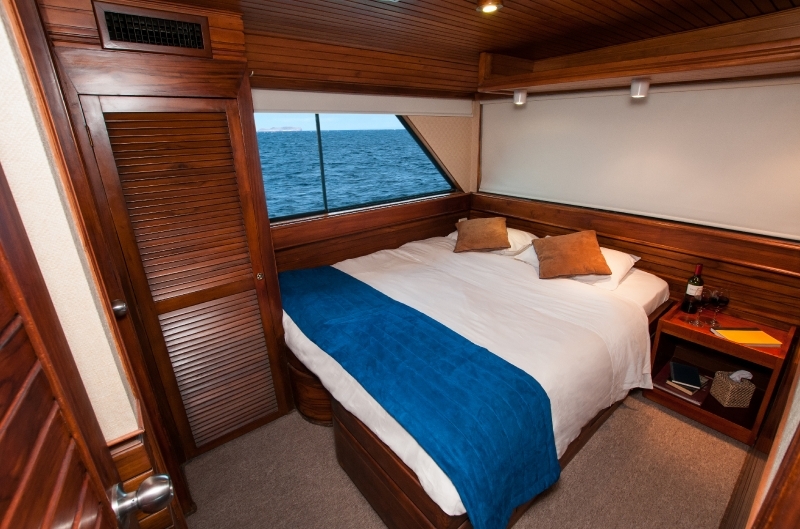 The air-conditioned 83-ft vessels have expansive sundecks, library, observation areas and offer outstanding Ecuadorian and continental cuisine with a well-stocked bar. Dates: Weekly departures. The Eric/Letty offers 8-day cruises and extended 15-day cruises. 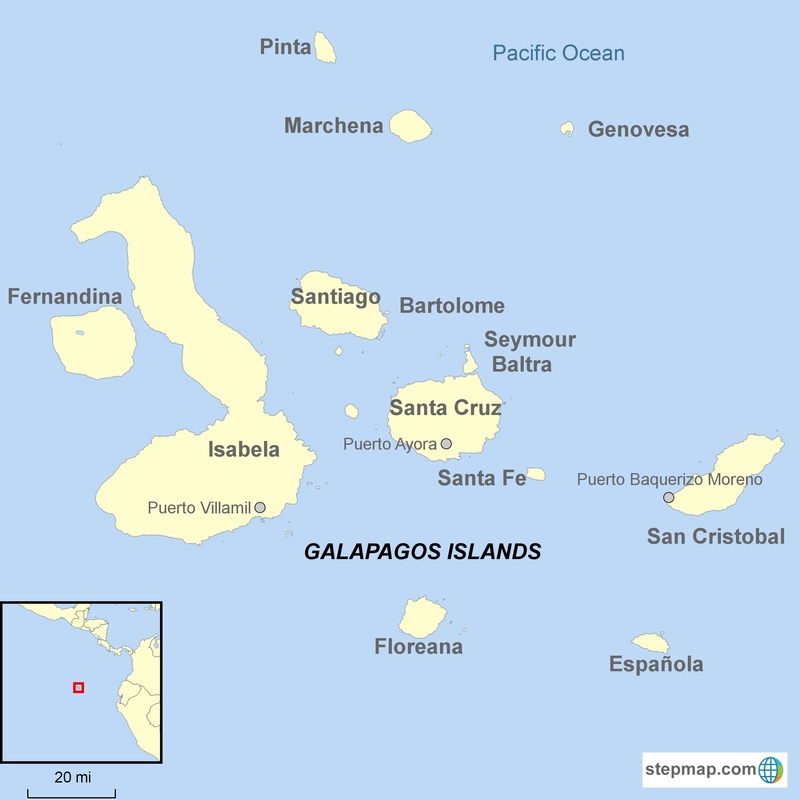 Our Galapagos tours include a pre and post in Quito or Guayaquil. A single supplement applies to single travelers in a private cabin. Single travelers willing to share a cabin with another passenger of the same gender can avoid the single supplement when available. Departures every other week. Please contact us for departure dates. Cabin 2: Matrimonial bed. Picture windows. 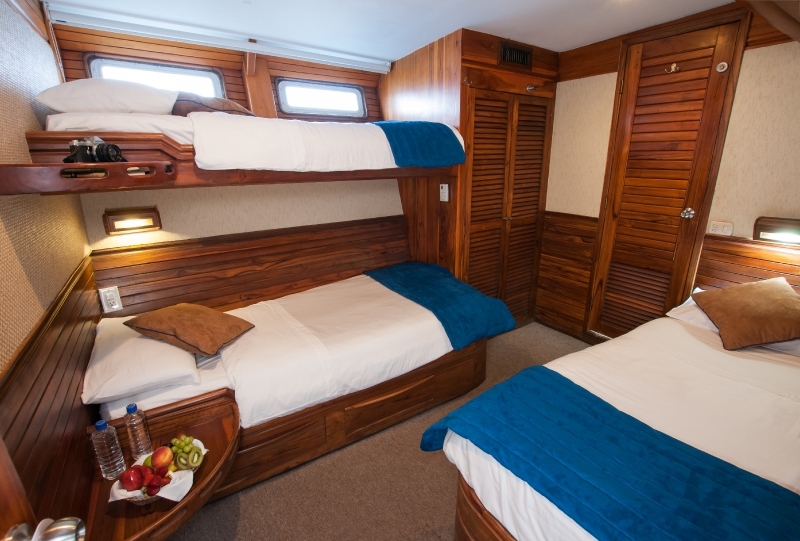 Average size: 95 sq ft.
Cabins 1,3 &4: Convertible beds. Picture windows. 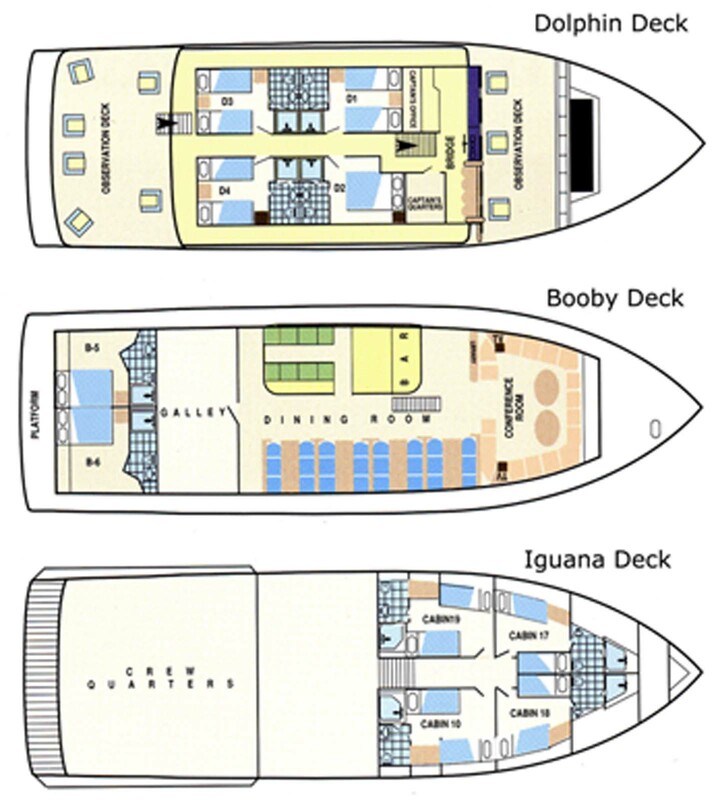 Average size: 95 sq ft.
*Note –Cabins 1,3 & 4 are permanent twin beds and not convertible on one of the three sister ships. Cabins 5-6: matrimonial bed, picture window. 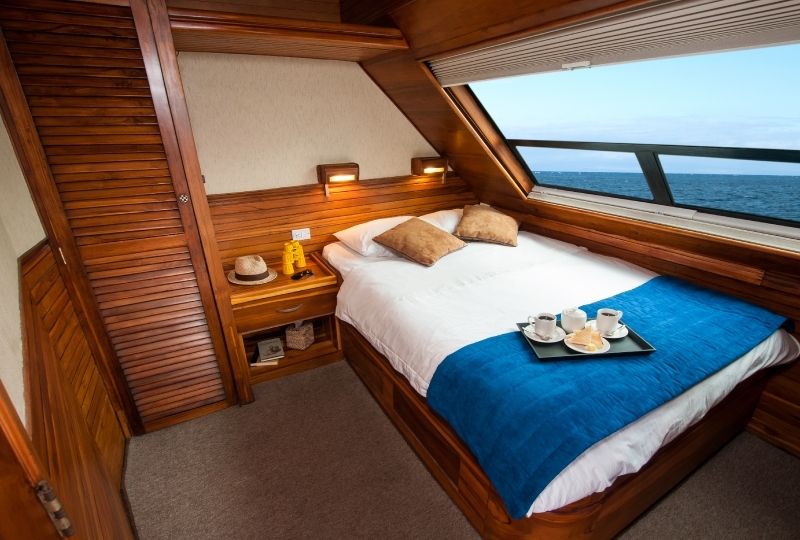 Average size: 90 sq ft.
Cabin 7 & 8: twin beds, portholes. 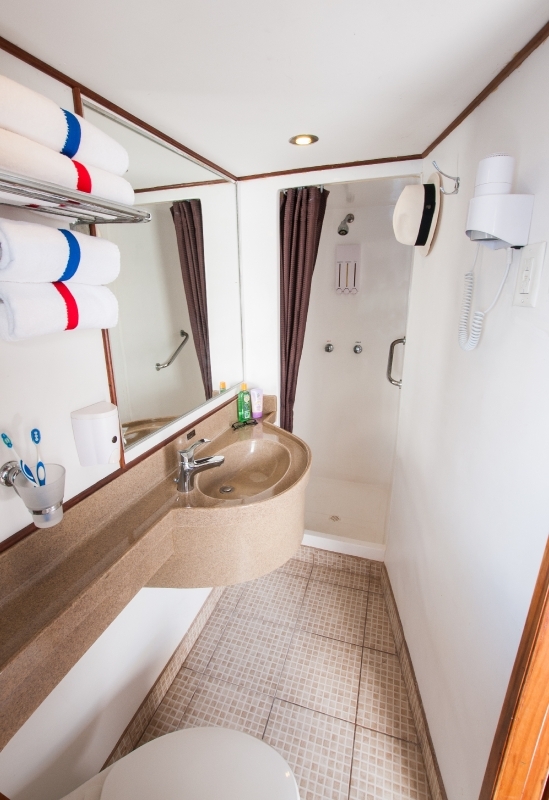 Average size: 110 sq ft.
Cabin 9 & 10: twin beds + one upper berth. These cabins can be used as triples. Portholes. Average size: 110 sq ft.